The motor yacht CHARISMA is a 40 m 130 (foot) well sized composite boat which was created at Hatteras Yachts and concieved by Jack Hargrave and Setzer Design Group. A well proportioned full displacement yacht CHARISMA is a particularily high quality United States built yacht which was launched to celebration in 1995. 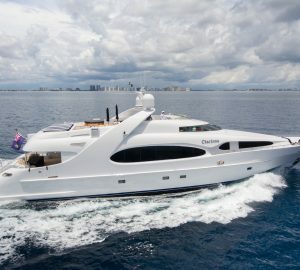 Accommodating 10 passengers and 7 qualified crew, motor yacht CHARISMA was formerly Victory Lane; Equinoccio. The yacht is a modern full displacement yacht. This gracious motor yacht has been brought about with a naval architect called Jack Hargrave and Setzer Design Group. Dee Robinson produced her interior design brief. Jack Hargrave was the naval architecture company involved in the technical vessel composition for CHARISMA. Her interior design was realised by Dee Robinson. Jack Hargrave and Setzer Design Group is also associated with the yacht general design work for this yacht. Created by Hatteras Yachts this vessel was constructed in the United States. She was officially launched in New Bern Nc in 1995 before being delivered to the owner. The core hull was built out of composite. The motor yacht superstructure is fabricated mostly using composite. With a beam of 7.25 m or 23.8 feet CHARISMA has reasonable internal space. A reasonably shallow draught of 1.98m (6.5ft) limits the number of overall marinas she can enter into, contingent on their minimum depth. She had refit maintenance and alteration work carried out in 2007. Powered by twin DDC diesel engines, CHARISMA will attain a maximum speed of 24 knots. For propulsion CHARISMA has twin screw propellers. She also has an economical range of 2800 nautical miles when underway at her cruise speed of 18 knots. Her total HP is 4800 HP and her total Kilowatts are 3532. With respect to thrusters she was fitted with Abt. With respect to the ship’s stabalisers she uses Naiad. 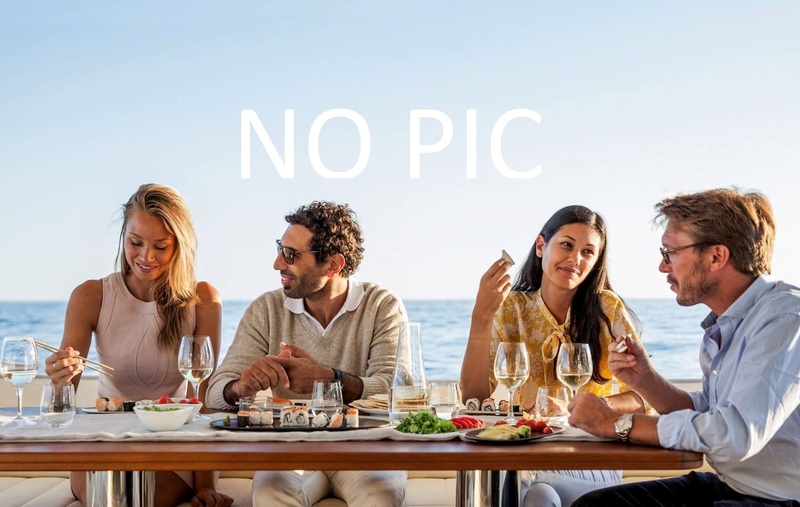 The well proportioned luxury yacht motor yacht CHARISMA can accommodate up to 10 people in addition to 7 professional crew. The propulsion comes from two 2400 Horse Power / 1766 Kilowatts Ddc. The Model type is 16V 149 diesel. 2800 at a speed of 12 knots. Kilo-Pak 2 times 90 kilowatts.